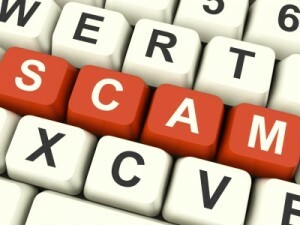 You may hear about email scams, telephone scams, door-to-door soliciting scams – but what about reverse mortgage scams? Unfortunately just as we have scams in every segment of society and at every opportunity, reverse mortgages and seniors are not immune to such activity. In the past decade, reverse mortgages also known as Home Equity Conversion Mortgages (HCEM), have increased more than 1,300 percent! This certainly offers an astounding opportunity for fraud perpetrators. What do reverse mortgage scams look like? Victims may be offered a free home, an investment opportunity, or foreclosure and refinance assistance. Senior citizens are often unsuspecting targets for scammers, as they are not familiar with the multitude of unscrupulous and dishonest “programs” that exist. Scammers reach their victims often through churches, investment seminars, television, radio, billboard, and mailer advertisements. When considering a reverse mortgage product, it is very important to research the company. Most reverse mortgages are insured by the Federal Housing Authority (FHA). Seek out companies that are a member of the Better Business Bureau and associated with the National Reverse Mortgage Lenders Association. • Do not respond to unsolicited advertisements. • Be suspicious of anyone claiming that you can own a home with no down payment. • Do not sign anything that you do not fully understand. • Do not accept payment from individuals for a home you did not purchase. • Seek out your own reverse mortgage counselor. ← What is a HUD Eligible Home for Reverse Mortgages?